Dace Motor Company Ltd is a specialist supplier of affordable used cars in the Wigan region. We offer a vast and varied range of models from many of the most successful makes in the country, such as Peugeot. Peugeot 308 is an especially desirable vehicle from this brand. A particularly popular car from this brand is the Peugeot 308. As a real specialist in the field of economical hatchbacks, Peugeot has produced some exceptional models, like the 108 which has been immensely well-received. The brand's range has something for everyone, including the GTi models for those who like cars capable of high speed and the SUV models for families. 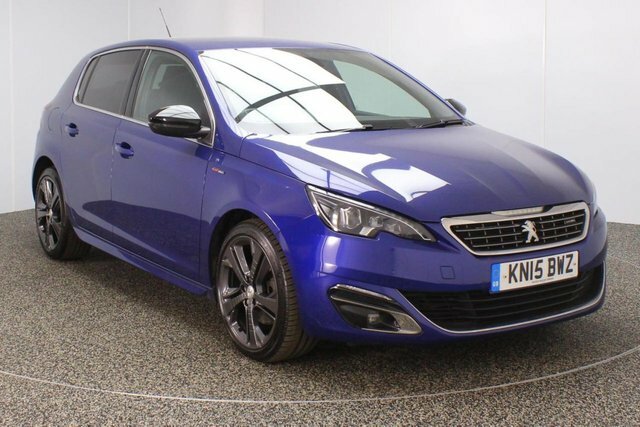 Discover the second-hand Peugeot 308 vehicles we currently have on offer now! To access our forecourt from Wigan, you can take the M61 or the M6 to join the M60. Exit at Junction 27 to find our site and your next motor!